Jordan Basich is an Associate Director at FRA based in Philadelphia, Pennsylvania. Jordan has over 10 years of experience in professional services and industry roles, working on global matters involving bribery and corruption, fraud, compliance and risk management for companies in a multitude of industries. 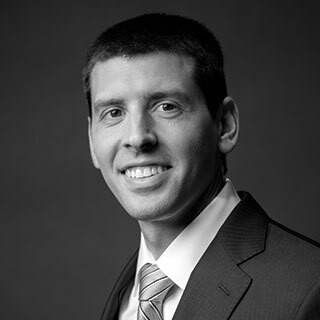 Prior to joining FRA, Jordan was a Manager in the Compliance Audit Group at Teva Pharmaceuticals where he managed and assisted proactive audits designed to assess compliance and fraud risk related to the Foreign Corrupt Practices Act (FCPA), Anti-Kickback Statue, False Claims Act, antitrust laws, data privacy and restricted promotional practices in the US and over 80 global affiliates in addition to working on internal investigations conducted by the company. Jordan has also worked at KPMG advising on investigations which focused on violations of the FCPA, as well as proactive assessments and audits of internal controls to ensure compliance with laws and regulations and prevent fraud, waste and abuse. He has worked on clients located in North America, South America, Europe, Africa and Asia. Jordan is a Certified Public Accountant (CPA) as well as a Certified Fraud Examiner (CFE). He is a graduate of West Virginia University, where he received a Graduate Certificate in Forensic Accounting and Fraud Investigation as well as a Bachelor’s degree in Business Administration.